Actually, the weather was rainy and dreary in St. Louis, but my day was filled with hope and love. Today I celebrated a precious child. A good friend of mine has been praying for a baby for over six years and is now expecting a baby girl. We showered this expectant mama with sweet baby gifts and tons of unsolicited advice. The baby shower hostess asked me to create a decorated sugar cookie to match the theme of the tableware. 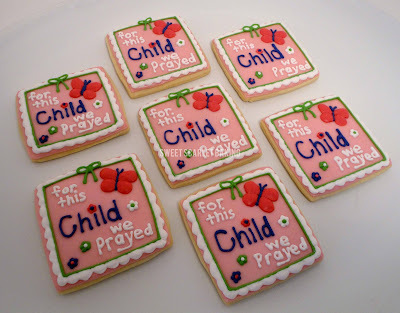 I thought that the words, "for this Child we prayed," fit the occasion perfectly. 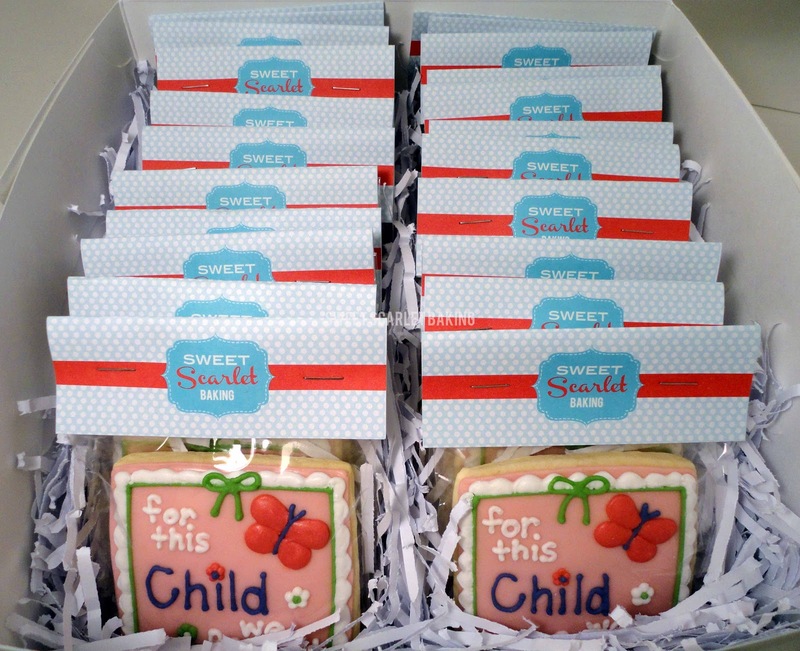 The cookies went home with the shower guests as party favors. So, I actually received one of my own cookies as a gift! I have never seen cookies so beautiful before! May God keep blessing you with talent and inspiration, precious artist Mama!